Wouldn't it be great if you could keep 100% of your commission? Well, that's possible at Keller Williams. When estate agents reach that pinnacle of success at Keller Williams, we call them cappers. Cappers get to keep all the commissions after franchise fees on all their sales the remainder of the year during which they cap. Now, wouldn't it be even greater if a seasoned property professional could coach you to become a capper? At KW Eden, we recently appointed a Productivity Coach to help our associates achieve that. We are extremely pleased to announce that Jaco de Lange recently joined the leadership group of KW Eden in George. Jaco is a very experienced estate agent with more than 16 years' experience. Jaco completed his Teachers Training certificate at the Bloemfontein Teachers Training College in 1981. After that, he enrolled in other degrees part-time at Kovsies. Jaco is a History boffin with a keen interest in the Anglo Boer War. He would like to complete his doctoral in History when time allows for it in future. Jaco was a teacher for 17 years at various schools in the Free State. An entrepreneur at heart, he left Teaching in 1997 to open a stationery business. He ran the franchise business until 2002. Jaco became involved in the property sector in 2002, which was at the start of a property boom in South Africa. He continues, “Over the past 16 years I have learned that every client, every transaction, every estate agent is unique. There is not a “one size fits all”-solution to any deal. 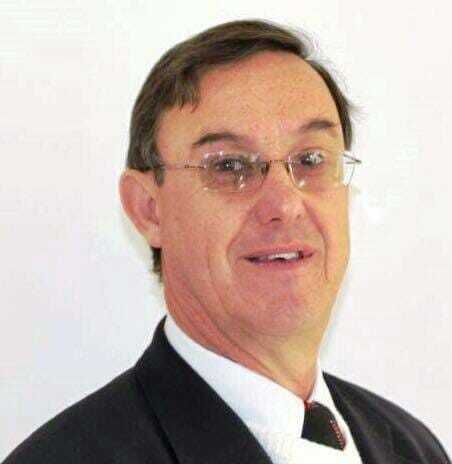 I have sold freehold properties, sectional title, smallholdings, commercial properties and farms. It is a big advantage for estate agents to find a niche market and to concentrate on that section of the property market. This is the level of experience associates in Jaco's coaching program can look forward to. How could that level of expertise benefit your budding real estate business? Jaco was fortunate enough to meet Gary Keller himself at the National Association of Realtors Convention in 2013. Jaco is married to Jakkie who has been a teacher for the past 36 years. They have two sons. The eldest is a pilot in Indonesia and their younger son is a teacher in Durbanville. Jaco has a simple, yet powerful business philosophy. Do you want to explore what an experienced Productivity Coach like Jaco can do for your property business? To arrange a confidential, free business consultation, click here now.